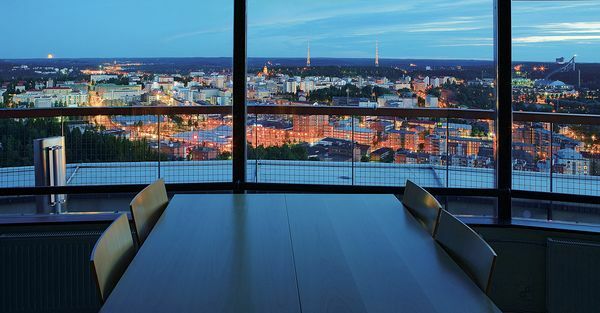 Lahti offers a business-friendly and resource-wise environment where new innovations and ideas can fly free. Be inspired by the smart solutions that drive green growth. A major reform was conducted in 2014, when public transportation was switched to a network-based model. Lahti Region Transport (LSL) is exploiting open data opportunities by offering free journey planner applications encompassed within Google’s Transit Trip Planner application. Free service data means time saved travelling and dynamic journey planning. In addition to this, a nationwide journey planner was created through the Digitransit project. This too encompasses the routes and timetables for the Lahti region. To promote open data in travelling, you can use the travelling companion service kyydit.fi or offer to share a ride with other travellers. Lahti is among several cities in Finland using this service. A shift towards open data methods benefits owners of electric cars, as the e-charge post locations are easy to track using an application. Get involved in Lahti Environment Week 2017! Lahti Energy is currently planning district cooling for new residential areas, the first of which will be the Ranta-Kartano residential area being constructed in the city centre. Thanks to various reports and research studies, the use of groundwater in cooling, which began a couple of years ago, has been shown to be a workable option. Since 2000, Lahti’s Sibelius Hall as been the only property connected to Lahti’s district cooling network. The city’s location on the Salpausselkä ridge, on top of significant ground water reserves, is now making district heating a profitable business. With groundwater, the centrally generated cold carbon dioxide emissions are significantly smaller than those of other condensation systems, and the energy rating of properties using district cooling is also better.